The open beta test for Tom Clancy's Ghost Recon: Wildlands PvP mode Ghost War will be available September 21–25. It is a standalone beta, meaning non-owners of the game will also be able to preload it starting September 19. PvP features 12 classes across 3 catergories (Assault, Marksman and Support), six of them will be on the open beta. Two new trailers and screenshots inside. SAN FRANCISCO — September 13, 2017 — Today, Ubisoft® announced that the upcoming open beta test for Ghost War, the new player versus player (PvP) mode update to Tom Clancy’s Ghost Recon® Wildlands, will be available on all platforms September 21–25. The stand-alone open beta will be available for preload starting September 19 for both Tom Clancy’s Ghost Recon Wildlands owners and new players who do not own the base game. The full mode will release as a free update to all Tom Clancy’s Ghost Recon Wildlands owners in the fall. In Ghost War, two groups of players will take part in a four-versus-four (4v4) team deathmatch experience that builds on the tactical squad play from the main game, where strategy is equally as important as skill. Teams will choose from a roster of varied classes across three categories – Assault, Marksman and Support – that fill specific roles on the battlefield as they navigate large-scale open maps and take down their enemies. The open beta will feature six of the twelve distinct classes, each with their own varied characteristics, weapons, perks and customization options, and five of the eight unique maps. 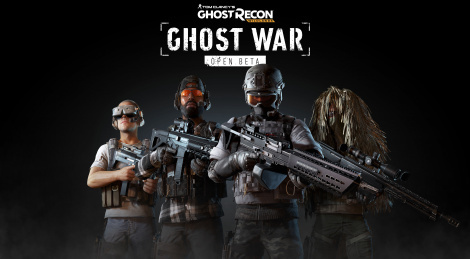 Ghost War will also integrate new PvP mechanics, including suppressing fire and sound markers, to create a true military-strategic, team-based multiplayer mode. Those looking for more information about Ghost War and the open beta can tune into the Ghost War Premiere on twitch.tv/ubisoft on September 19 at 9am PDT to see new PvP content for the first time, exclusively on Twitch. To celebrate this event, a pre-show with four hours of content featuring special guests will begin at 5am PDT. A re-broadcast of the pre-show and main event will start at approximately 11:30am PDT. More details about the livestream can be found at <8ce3>http://ghostrecon.com/LivestreamAnnouncement. Developed by Ubisoft Paris,* Tom Clancy’s Ghost Recon Wildlands is a military shooter entirely playable in up to four-player co-op or single-player from beginning to end. Players have total freedom to accomplish their missions how they want and watch as the world reacts to their actions. Players can choose to move quietly in the night, go in hot at dawn or work together to execute a sync shot that takes out enemies in one fell swoop. Each choice has a consequence, and players must improvise or adapt their plans to ensure the completion and success of each mission. 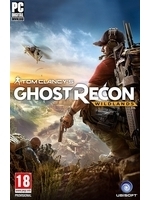 For the latest on Tom Clancy’s Ghost Recon Wildlands and all Ubisoft games, please visit ubiblog.com. For more information about Tom Clancy’s Ghost Recon Wildlands and the latest beta news, please visit ghostrecon.com, follow us on twitter.com/ghostrecon or facebook.com/ghostrecon and join the conversation by using #GhostRecon. 4 on 4... I hope that's just one mode. i dunno, that seem to be exactly what fortnite recently did and watching gameplay it looks boring as hell, just endless running across a huge map only to get shot by some guy hiding in a shed.... not to say this looks particularly interesting either mind you. Sad to see Ghost Recon fall away gameplay wise so much! Unbelievable they choose 4v4 for PvP, Should of been 8v8 at the very least. What makes people think they can just add a mode like that to any game? Who knows how complicated adding a 100 player PVP mode to a game like Wildlands actually is, outside of the developer. I get why people think it's a neat fit, but it's probably more complicated than you think. Like, "oh no that would be too easy"? Really? LOL. That said: no one is going to play this. It certainly isn't boring for the ten+ million people playing PUBG. It's sorta the hot new thing. And I don't know whose gameplay you were watching but they must have been pretty bad if they continually succumb to turtle tactics. That's an effective way of getting yourself into the top 10, but you're not winning many games locked in a bathroom. The game mode has a mechanic that flushes people out of cover and drives people towards a central location that continually shrinks. "shot by some guy hiding in a shed"
the guy i was watching wasn't hiding in a bathroom. Yea I am saying that if they're getting killed by campers continually there's a problem with their approach. The game type doesn't really reward camping as highly as you may think, because there's a mechanic that flushes people out of cover. A wise man once said, "only noobs rush in." But anyway.. I wouldn't have figured on it having MASS APPEAL either.. but it does. Epic was smart to copy it. Squads make it better too. What makes people think they can just add a mode like that to any game? Who knows how complicated adding a 100 player PVP mode to a game like Wildlands actually is, outside of the developer. It's probably NOT easy to do. But having at least 8v8 SHOULD have been the plan all along. GR has always been predominantly a multiplayer game, and was one of the first online console multiplayer hits when Xbox Live launched 15 (?) years ago. To even launch the game without a multiplayer component was a monumental FAIL. To then wait this long to add a 4v4 mode is a joke. So let's all cross our collective fingers that this is not indicative of the actual full blown multiplayer release. Yea I wasn't saying this was all that or anything. I don't have a problem with smaller player counts but I think they can do a lot more with this game too. Adding a battle royale mode could be a huge undertaking for all I know though. Epic whipped one up in Fortnite pretty quickly but that's an entirely different scenario.